The last time we spoke to Steve Cozza was back in February of this year; he had high hopes for the season but a broken collar bone in the Tour of Qatar wasn’t a good start to his campaign. The season which followed, spent in harness as a domestique in the mighty Garmin squad, has caused Steve to reappraise his career path and despite a contract which runs through to the end of 2011, the 25 year-old from Petaluma, California has taken the brave decision to leave the Pro Tour and go down to the Pro Continental level. We thought we should ask him why. I have a contract with Garmin through 2011 but you have to make decisions in your career and I could see the team getting even bigger with the Cervelo merger and the incoming guys have mostly been Classics riders. If I want to develop my career then I can’t just continue to be a domestique. I may be going from Pro Tour to Pro Continental but I’ll be in a position with more responsibility and not just working for the team. Sometimes you have to take two steps back to take three forward – I see the new team like Slipstream was three years ago. The move to NetApp will signify a new period in Cozza’s career and a hoped for transition from domestique to leader. PEZ: Tell us about the new team, Steve. NetApp it’s a German team but the sponsor comes from California – they’re a data storage company, very big, for example they hold Face Book and YouTube’s data. The team is continental at the moment but are going Pro Continental with 14 riders and a view to eventually going Pro Tour in 2013 – I’ve signed for two years. Jens Heppner is the DS – he’s a man I’ll learn a lot from and I have a lot to learn. Very important for us – with having a Californian sponsor – will be the Tour of California and Tour of Colorado. I think that with the demise of Milram we’ll get a lot of attention because we’re now the only German team. 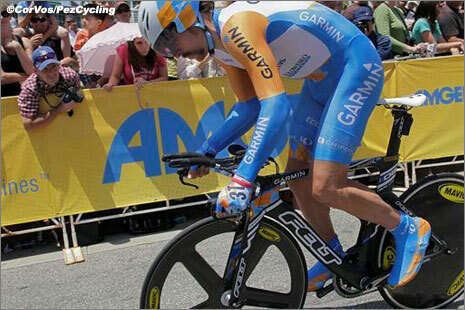 Cozza has always been a great time trialist – look for more in 2011. PEZ: Your 2010 season was compromised by injury, wasn’t it? Yes, but for the most part of the last two seasons I’ve been working as a domestique, I’ve enjoyed it but it’s time to move on, be adventurous. I’ve been with Jonathan Vaughters for four years and it’s been great; I’ll miss my Garmin team mates but I’m excited about getting to know my new team mates. 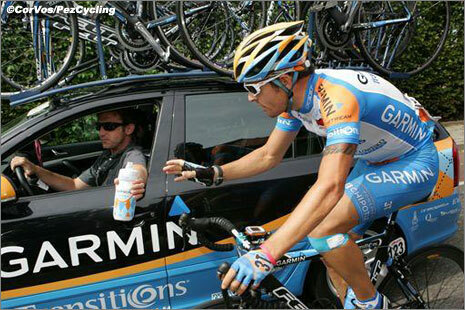 PEZ: What’s been the highlight of your time at Garmin? The team gave me my introduction to European professional racing; I came to live in Girona and learned how to be a pro cyclist. The high points were riding the Classics; Roubaix, Flanders and last year I got to ride the Ardennes races – the Fleche and Amstel. I’m looking forward to taking that experience to NetApp with me. Cozza has proved a great teammate for riders like Tyler Farrar on Garmin – next year, it will be his turn to take over the reins as the go to guy. PEZ: Is season 2010 over for you? No, I still have the Franco-Belge and Paris – Tours to ride. PEZ: There must have been a lot of nervous guys at Garmin when the merger was announced? There were a lot of nervous guys on the team, yes, but you have to understand that there’s a business side to cycling and JV had to use the opportunity with Cervelo to strengthen his team. As for the team dynamics, they won’t affect me but I think if the programme is broad enough it should avoid any conflict between Tyler Farrar and Thor Hushovd – they’re different types of sprinters. PEZ: What’s the vibe in the peloton with the loss of Milram, the Garmin/Cervelo merger and Bbox probably not going to survive? But you have to remember that Fly V are coming in and so is the Luxembourg team – and teams like NetApp are moving up. The media tend to concentrate on the negatives; I don’t think the situation is as bad as it’s made out to be. 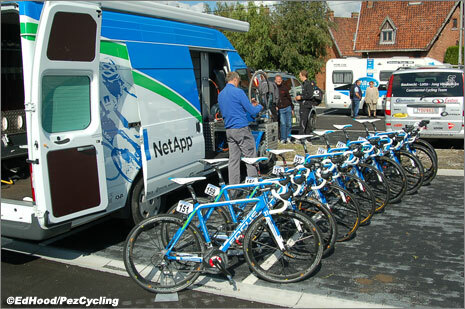 The scene outside the NetApp camp at the recent Championship of Flanders. PEZ: But it’s a tough time, do you have an agent to help you? Yes, Martijn Berkhout, we talked as soon as I heard about the merger with Cervelo. Every rider wants the opportunity to lead a team; and for a team to have the confidence in me to allow that is a great boost to my confidence. PEZ: Will you be wintering in Girona? I’ll be based in Girona for 2011 but will be back in California for November and December; I’ll return for our Euro team training camp in November – and there’s another one in Murcia in January. When I’m in California I’m going to take time to visit NetApp, I’m not a computer guy but I’d like to see their operation and learn about it. PEZ: Will you be changing any aspects of your training with your new role? I’ve been working with Dario Frederick from Whole Athlete for five years now and our winter goals are about all round strength and base – endurance. In January we add intensity with more snap to the riding – I’ve always been good in time trials and will be doing work to strengthen that aspect of my riding. Cozza gets a kiss from his girlfriend, Jen Caudill, before a stage start at the Tour of California this year. Hopefully we’ll get into Roubaix and Flanders; I’d really like to ride those races, again. Early season we have the Tour of the Med, Murcia, and Paris – Nice but our major goal, with having a local sponsor, is the Tour of California. Prior to California I’ll be preparing at altitude and a stage win is the big objective. 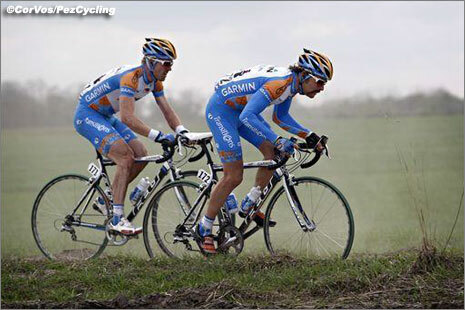 Cozza is at home on the cobbles – hopefully NetApp can score some Wild Cards to the big Spring Classics in 2011. 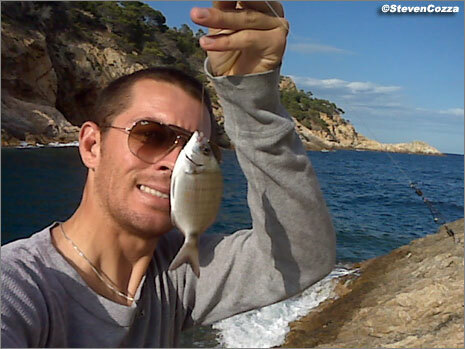 PEZ: How about that shark fishing? Oh yeah, still fishing! 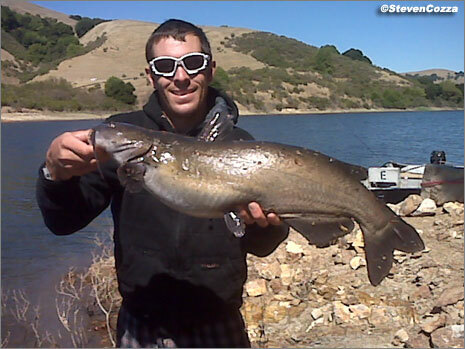 After the two UCI races in Canada I was home in California for a few days and went fishing with my dad – I caught a 30 lb catfish. I always let them go, though – and no puns please about big fish and little pools or the like! PEZ: And most importantly – what’s the moustache position at the new team? Well, new team, new image – but when the success starts to come, I think I’ll bring back the moustache! With thanks to Steve for his time, we’ll be keeping an eye out for NetApp in those 2011 results.